Snoop Dogg was preparing himself to become the world’s first superstar to accept Bitcoin for a music album, but the former Spice Girl Mel B was quicker. The singer recently announced she will be accepting cryptocurrency for her new single, entitled “For Once in My Life”, which will be on sale on December 25th through her website. The singer established a partnership with Cloudhashing.com in order to accept Bitcoins. “I love how new technology makes our lives easier, and to me that’s exciting. Bitcoin unites my fans around the world using one currency”, she said in a press release, quoted by Radio.com. On the other side, “Cloudhashing.com is excited to partner with the international recording artist Mel B in her forward-thinking decision to accept Bitcoins”, said the company’s CEO, Emmanuel Abiodun. “This will help bring Bitcoin to the attention of millions of fans around the world”, the representative added. 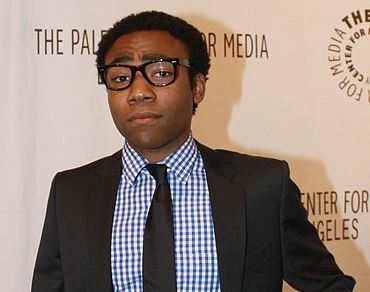 However, Mel B is not the only music artist swimming in the Bitcoin pond: the actor and rapper Donald Glover, know for the stage name Childish Gambino, is also a cryptocurrency fan. The artist has a new album, called “Because the Internet”, and recently unraveled several praises to Bitcoin. “Yeah, I know a lot of people are skeptical, but I feel like if everything’s going to live online, why not Bitcoins?”, Glover told Time. “Being backed by gold seems very old and nostalgic to me. Being backed by a Bitcoin, which takes time to actually make and there’s this equation that has to be done, that feels more real to me and makes more sense“, the artist added. Childish Gambino’s new album is available from this Tuesday (10), like Snoop Dogg’s new work, entitled “7 Days of Funk”.